Members of numerous climate action groups and political parties marched from the Market Cross to County Hall in West Street. 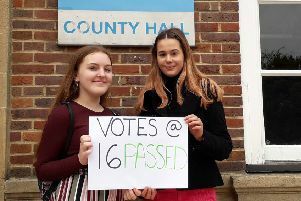 This was followed by a West Sussex County Council debate on whether or not the authority should declare a climate emergency in the county. Michael Symes, who took part in the demonstration and is standing for Labour at the Horsham District Council elections next month in the Trafalgar ward, said afterwards: “We are campaigning for West Sussex County Council to declare a climate emergency so that immediate action is taken before it is too late. “We need to put the next generation before our own short-term needs and selfish desires. Included in Labour’s local manifesto are a range of green commitments including; using the levers of local government to reduce the impact on the environment and commitments to setting up an environmental committee to assess the environmental impact of its decisions. Labour says if it controlled HDC it would create a new senior role in the council with a focus on engaging with the public, making sure new innovative initiatives are developed and delivered across the district. 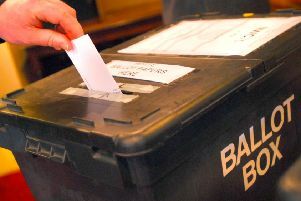 A programme of divestment, ensuring that none of Horsham district’s reserves or pension funds are invested in companies whose operations have a negative impact on the environment would also be rolled out at a Labour-run HDC. David Hide, chair of Horsham Labour Party and one of three Labour candidates for the Forest ward, added: “This is Horsham Labour’s most innovative manifesto and reflects the seriousness of the situation we find ourselves in.